Head of the UN-backed Presidency Council (PC) and Libya’s Prime Minister has slammed Misrata-based military forces aligned with the PC after members of the military’s top command were received in Doha by Qatar’s ruler. Prime Minister Faiez Serraj has condemned the visit and issued warnings indicating that any similar move will be dealt with by a court Martial, Libya Herald reports. 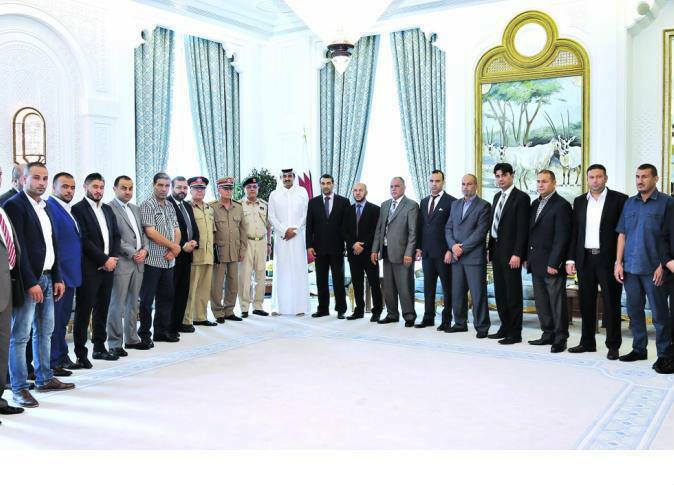 A delegation of 15 individuals among whom Bunyan Marsous (BM) operations room commander, Brigadier Bashir Al-Gadi, flew few days ago to Doha to hold talks with Qatar officials without the knowing of the PC. The BM is a paramilitary group of armed forces aligned with PC and opposed to Field Marshall Khalifa Haftar who is the top of commander of the so-called Libyan National Army based in the East and supported by the United Arab Emirates (UAE) and Egypt. UAE and Egypt have backed Haftar forces in their so-called war against terrorism. Haftar is opposed to the PC, but lately there were initiatives to bring the two sides closer after Haftar and Serraj met near Paris on July 25. At the meeting held at the initiative of President Emmanuel Macron, the political rivals agreed to set aside their contentions and make way for peace, endorsing the Libyan Political Agreement (LPA) signed in Skhirat, Morocco, in December 2015, as the only political roadmap for the country’s reconstruction. The UAE and Qatar’s struggle for influence in the region has spilled to Libya through support for opposite sides. Last month, the UAE reportedly failed to convince the Misrata forces to sign an agreement with Haftar – meaning loss by the PC of its military support. Haftar and the eastern based administration have sided with Saudi Arabia, the UAE, Bahrain and Egypt in the boycott of Qatar after the four countries cut ties with the small emirate over its alleged support terrorism. The PC adopted a neutral position in the crisis. During the Doha visit, the Qatari ruler Tamim bin Hamad Al Thani promised to provide Misrata with a water desalination unit and a field hospital, said former spokesman for Bunyan Marsous, Mohamed Al-Ghasri who was part of delegation. Aside from getting approval before holding meetings and discussing military issues with foreign authorities abroad, all military officials must also get approval for any meeting whatsoever even inside the country, Serraj noted. Per the Libyan Political Agreement reached in December 2015, the PC’s head is Chief of armed forces. Written by: KanelkaTagba on August 18, 2017. Posted by KanelkaTagba on Aug 18 2017. Filed under Headlines, World News. You can follow any responses to this entry through the RSS 2.0. Both comments and pings are currently closed.